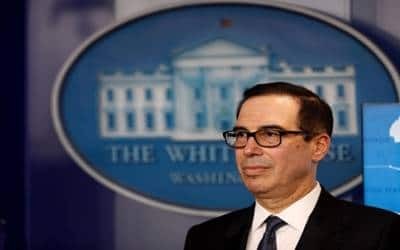 "We’re hopeful that we’re getting close to the final round of concluding issues," he told the media on Saturday on the sidelines of the spring meetings of the International Monetary Fund and World Bank. "We’ve already agreed there’s a big component of this that there will be real enforcement on both sides," he said, adding "including a detailed enforcement office on both sides with significant resources". "We expect to honour our commitments and if we don’t, there should be certain repercussions, and the same way in the other direction."